If you’re celebrating in Noosa this festive season you won’t go hungry. Our local foodies have plenty of festive fare to tempt your tastebuds. Whether you’re dining in or stocking up your holiday pantry – our restaurants and providores cater to all tastes. There’s traditional Christmas staples from puddings to panettones, hams, turkeys and all the trimmings or simply indulge in the very finest fresh seasonal summer produce. Hastings Street is buzzing during the day and awash with twinkling fairy lights after dark – make sure you allow time for at least one nightly promenade. Not to be outdone, other local precincts are also lighting up, with Gympie Terrace, Noosa Junction, Cooroy and Tewantin all getting into the Christmas spirit with Giant Santa, street decorations and bud lighting. 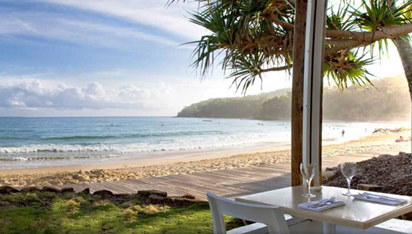 Spoil yourself at one of Noosa’s new restaurants and bars or revisit one of your favourites. For all you’ll need to know around town download Tourism Noosa’s Festive Season Guide here and make the most of this year’s holidays in Noosa. In our last available waterfront apartment. A last minute vacancy has just come available. For a New Year to remember, shared with family and friends from 23 December to 2 January email reception@noosaquays.com.au or call Glenn or Suzie on 07 54492699. Bring in 2015 with style! 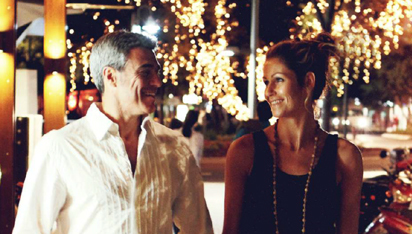 Experience New Year’s Eve like never before with dinners, cocktail parties, fireworks and plenty of music. Celebrate at award winning restaurant Ricky’s River Bar and Restaurant or Wood Fire Grill, located adjacent to Noosa Quays at Quamby Place. 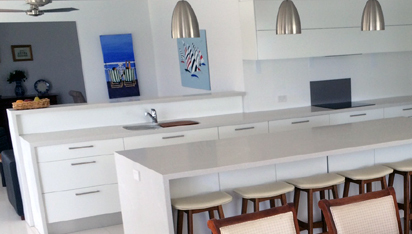 Take in the fantastic waterfront views and fireworks at Noosa Marina. Party on Hastings Street at Miss Moneypenny’s, Locale Noosa, or enjoy a live DJ at Café Le Monde. Or head to Noosa Yacht and Rowing Club in Noosaville to hear live band ‘The Vibe’. 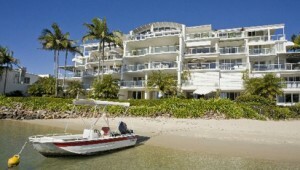 Noosa Quay’s central location makes it easy for guests to reach these locations via Noosa Ferry. Our stunning penthouse apartment 23 has been treated to a five star refurbishment this year to match its five star view. Guests will now enjoy a gourmet kitchen with designer appliances, luxurious bathrooms with quality fixtures and fittings, new sliding doors to make alfresco living even easier and new tiling throughout. In 2015 Noosa Quays will celebrate its 25th birthday by getting even better looking! We have more stylish renovations planned with at least two apartments already booked in for refurbishment and another in the planning stage. Around the resort we’ll be tiling and landscaping to ensure we look our best for our silver anniversary year. The team at Noosa Quays would like to wish you and your families a safe and happy Festive Season, wherever you’ll be spending it, and we hope to see you again soon.